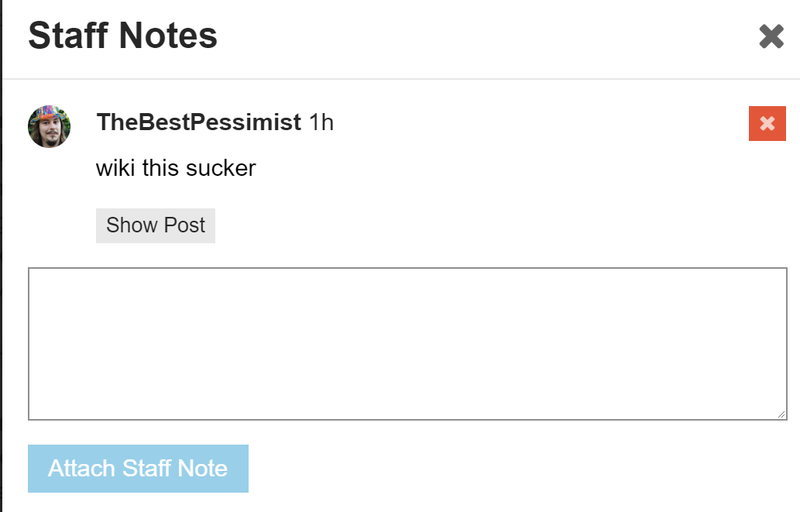 I added a staff note,via the moderator wrench to a post. Then to a second post. Now it seems that in all my posts (disregarding the topic) i see near my username the staff notes icon. I thought i added the note only to that post, and not to my user. Which correctly takes me to the post. For me it feels a little weird to have the icon always there near my username. I expected to have the icon only at those posts for which i added the note(s). I see now. Thanks for the explanation! This topic was automatically closed after 31 hours. New replies are no longer allowed.